There are three scheduling solutions we recommend. Two are paid subscriptions and one is free. 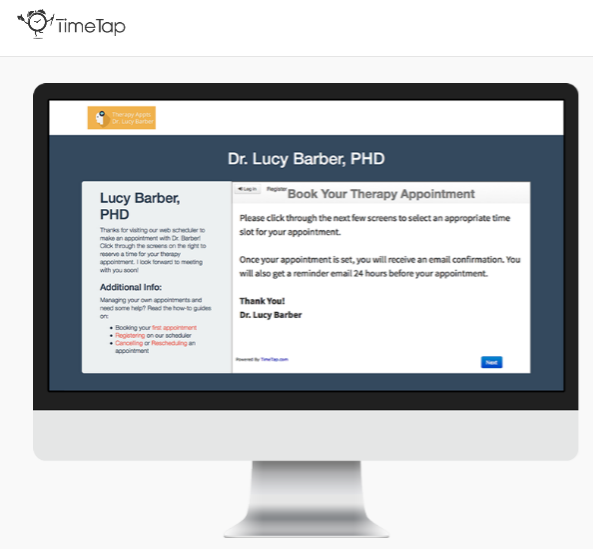 If you need a HIPAA compliant scheduler, there is Cogsworth and Timetap. Cogsworth is $49 a year. Click here to learn more. Timetap: Email addy@timetap.com and mention doxy.me for 10% off any of their plans. 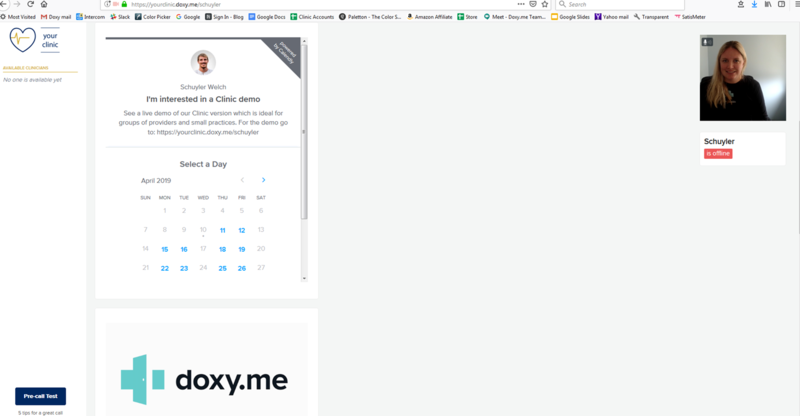 We can embed Timetap and Calendly into your waiting room if you are a premium user, email support@doxy.me for more info. 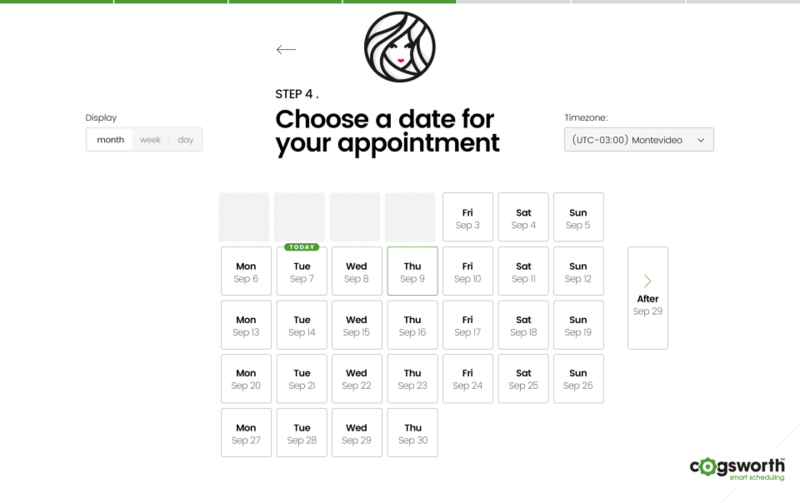 If you don't need a HIPAA compliant scheduler there is Calendly. We use them for doing demos and they are a simple solution. You can get 25% off one of their paid plans by mentioning us. They do have a free version that you can use.